March 1, 2018 GeoSci Seminar: Vikram Dwarkadas, "Investigating a Stellar Wind Origin for High 26Al and Low 60Fe in the Early Solar System"
March 14, 2018 EFI seminar: Nahee Park, University of Wisconsin, "Probing high energy particle dynamics in our Galaxy with multimessenger observations"
October 30, 2018 Inaugural John A. Simpson lecture: Martin H. Israel, Washington University, "What Rare Isotopes and Rare Elements Tell Us About the Origin of Cosmic Rays"
November 8, 2018 Physics colloquium: Helen Quinn, "Science, Engineering and Art as well - why is it hard to teach Science well?" GeoSci Seminar: Vikram Dwarkadas, "Investigating a Stellar Wind Origin for High 26Al and Low 60Fe in the Early Solar System"
A critical constraint on solar system formation is the high 26Al/27Al abundance ratio of 5e-5 at the time of formation, which was about 17 times higher than the average Galactic ratio, while the 60Fe/56Fe value was about 2e-8, lower than the Galactic value of 3e-7. This challenges the assumption that a nearby supernova was responsible for the injection of these short-lived radionuclides into the early solar system. 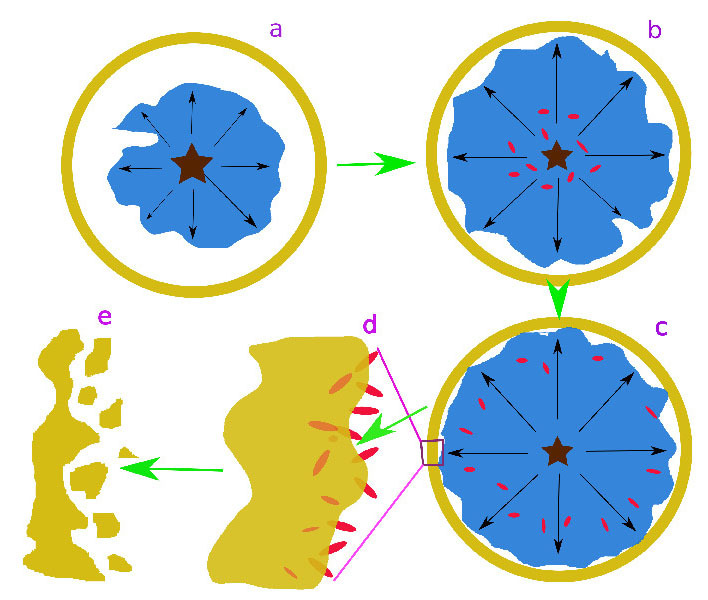 We show that this conundrum can be resolved if the Solar System was formed by triggered star formation at the edge of a Wolf-Rayet (W-R) bubble. Aluminium-26 is produced during the evolution of the massive star, released in the wind during the W-R phase, and condenses into dust grains that are seen around W-R stars. The dust grains survive passage through the reverse shock and the low density shocked wind, reach the dense shell swept-up by the bubble, detach from the decelerated wind and are injected into the shell. Some portions of this shell subsequently collapses to form the dense cores that give rise to solar-type systems. The subsequent aspherical supernova does not inject appreciable amounts of 60Fe into the proto-solar-system, thus accounting for the observed low abundance of 60Fe. We discuss the details of various processes within the model using numerical simulations, as well as nucleosynthesis modelling, and analytic and semi-analytic calculations. We conclude that it is a viable model that can explain the initial abundances of 26Al and 60Fe. EFI seminar: Nahee Park, University of Wisconsin, "Probing high energy particle dynamics in our Galaxy with multimessenger observations"
Cosmic rays, high energy particles originating from outside of the solar system, are believed to be dominated by particles from our Galaxy at least up to the energy of 10^15 eV. Since their discovery in 1912, the origin, acceleration, and propagation of these high energy particles have remained as open questions. In the last few years, new results from space-borne experiments, such as the rise of the positron flux and hardening of the light nuclei, have begun to challenge our understanding of these particles. Complementing this, indirect observations of the cosmic rays via very high energy gamma rays have started to shed light on the various particle accelerators in our Galaxy with discoveries of over a hundred Galactic sources. 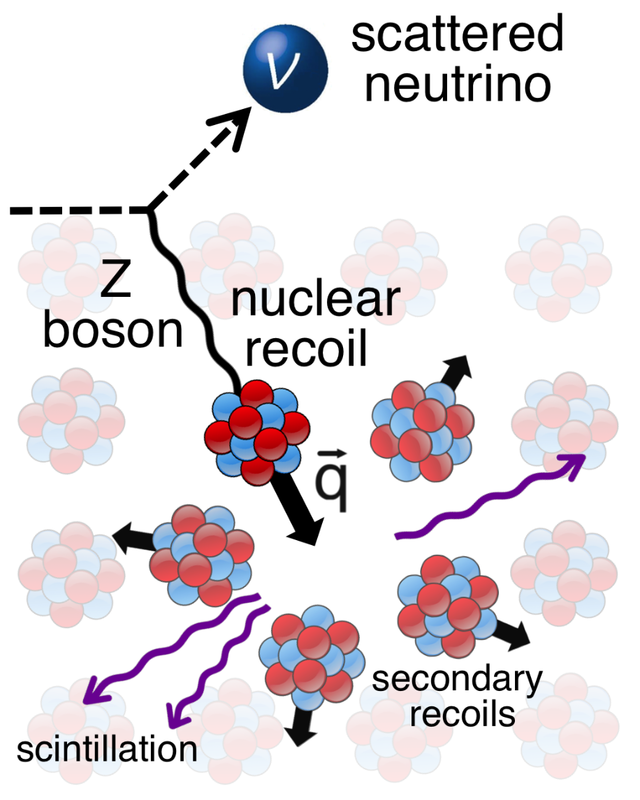 With the recent detection of astrophysical neutrinos by IceCube, the first unequivocal view of pure hadronic accelerators in our Universe became available. I will present what we have learned about the acceleration of high energy particles with gamma-ray observations based on the Galactic gamma-ray measurements from the VERITAS experiment, an imaging atmospheric Cherenkov telescope. 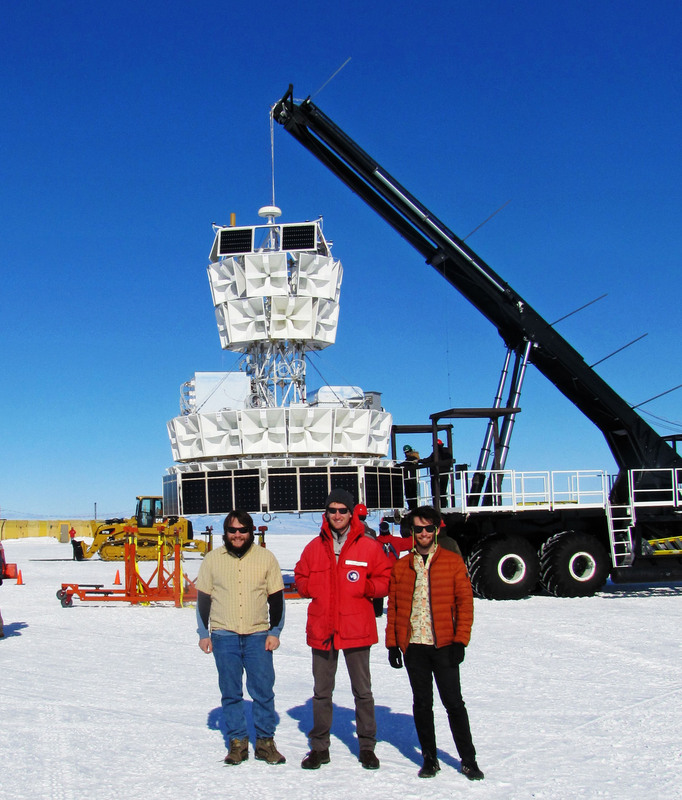 I will show what we can learn from the future neutrino experiment IceCube Gen-2 and the future gamma-ray observatory CTA. Finally, I will highlight how these multimessenger observations come together to lead us toward a more coherent and complete picture of high energy particles in our Galaxy. 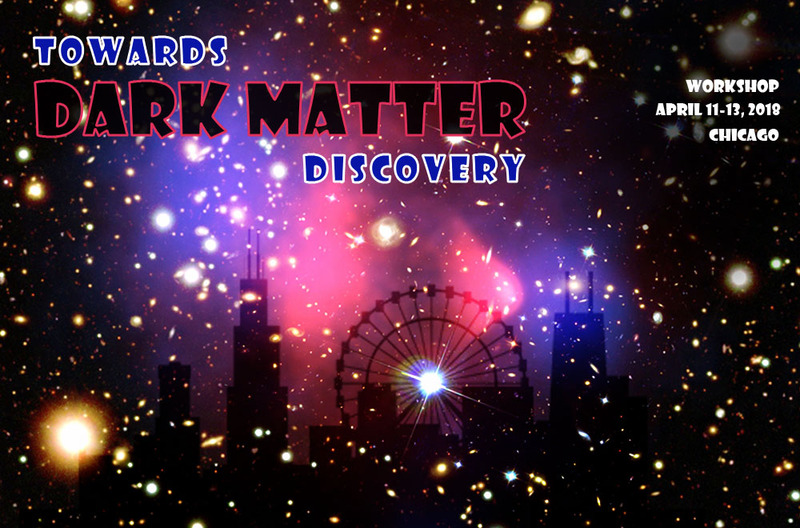 The Kavli Institute of Cosmological Physics (KICP) at the University of Chicago is hosting the "Towards Dark Matter Discovery" workshop, which will be held from 11th to 13th April 2018 in the Eckhardt Research Center (ERC) on the University of Chicago campus. The workshop will explore new directions on the path toward discovering the nature of dark matter. 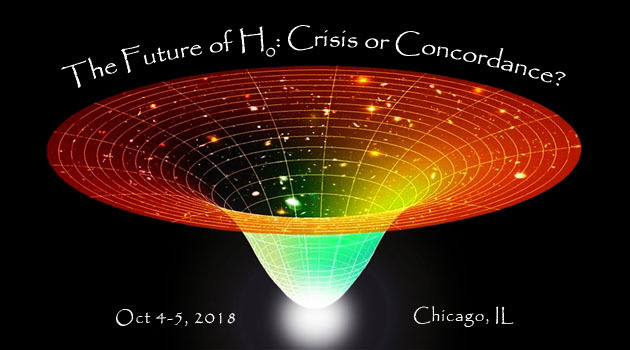 The invited speakers are encouraged to share their expertise in the fields of primordial black holes, thermal relic dark matter, nonthermal relic dark matter, ultralight dark matter, superheavy dark matter, kinda-chubby dark matter, new strategies for direct detection, newer strategies for direct detection, avant-garde strategies for direct detection, and axions. During the three day workshop, we will host approximately 20 talks of 30 minutes each with generous time remaining for discussion. 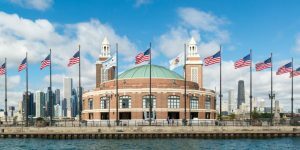 Visitors to the University of Chicago are invited to spend the entire week at the university. 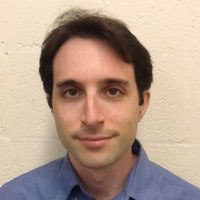 13:45 - 14:00 Faustin Carter: Wirebonds? Really? For Ten Minutes? The Kavli Institute of Cosmological Physics (KICP) at the University of Chicago is hosting the "SPTxDES Joint Analysis" workshop, which will be held from 20th to 22nd June 2018 in the Eckhardt Research Center (ERC) on the University of Chicago campus. 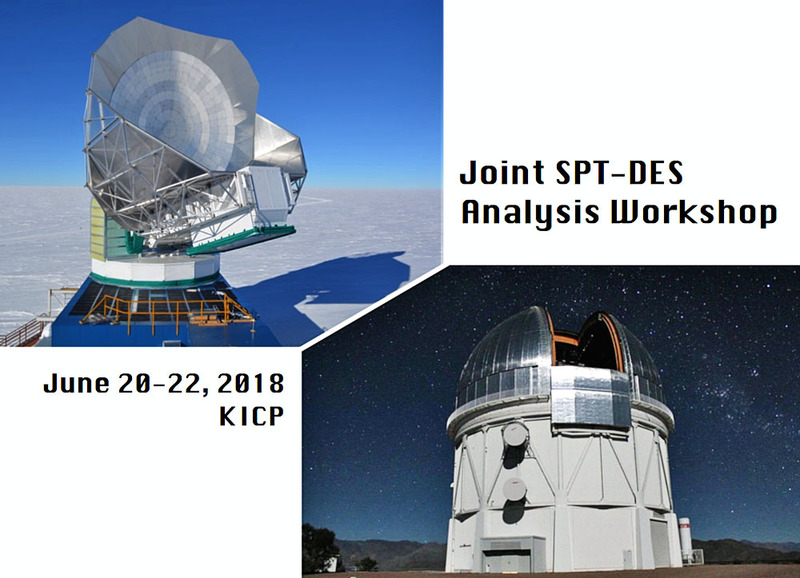 This workshop focuses on the science at the intersection of two leading cosmology experiments---the Dark Energy Survey (DES) and the South Pole Telescope (SPT) - with the goal of optimal extraction of cosmological constraints from these two surveys. The workshop would serve as both a forum for discussions on current analyses as well as an incubator for future ideas. The meeting will cover two main themes: galaxy clusters and wide-field science. While these topics cover a broad spectrum, we will target the workshop such that it accelerates joint work on these key areas of synergy between the two collaborations. Stars in our Milky Way and galaxies in our Local Group contain the fossils and clues on stellar evolution and supernovae, the formation and evolution of star clusters and dwarf galaxies, and the formation of large spiral galaxies. Rapid progress in this field -- usually called Galactic Archeology -- was enabled by large-area imaging and spectroscopic surveys of old stellar components of the Milky Way and dwarf galaxies, together with simulations of chemical and dynamical evolution. The field of Near-Field Cosmology extends the scope of these studies to probe the formation and evolution of galaxies and the nature of dark matter. The Dark Energy Survey (DES) is releasing its DR1, with catalogs and images from the first three years of DES operations early in 2018, including 400M objects (100M stellar sources in grizY band to r of 24th magnitude at 10 sigma) over 5000 square degrees mostly in the Southern Galactic cap. This survey is about 2 magnitudes fainter than SDSS at the same S/N. In addition to DES, many other DECam community surveys, such as DECaLS, DECaPS, SMASH, MagLiteS, BLISS, etc, have already had or will soon have the public data release. 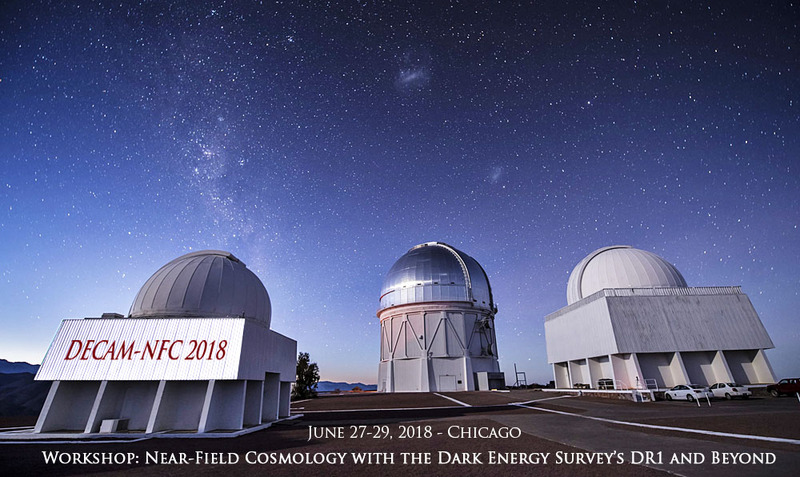 Kavli Institute for Cosmological Physics (KICP) at the University of Chicago will host a 3-day workshop on June 27-29 to explore uses of the DES DR1 for near field cosmology studies in conjunction with other DECam public data. Furthermore, the workshop will explore possible synergies with other spectroscopic surveys as well as Gaia DR2. The 3-day workshop will include presentations and discussion on the first two days and a hack day on the last day. Talks on ideas or science results related to DES/DECam data, or synergies with other programs are encouraged. Abstracts can be submitted at registration. On the hack day, we will hack on DES DR1 data and associated data sets (like Gaia DR2) in a collaborative format. Specific hack topics can be submitted at registration. Synergy with Gaia DR2 and other spectroscopic programs/surveys. Synergy with other DECam surveys and/or other imaging surveys. 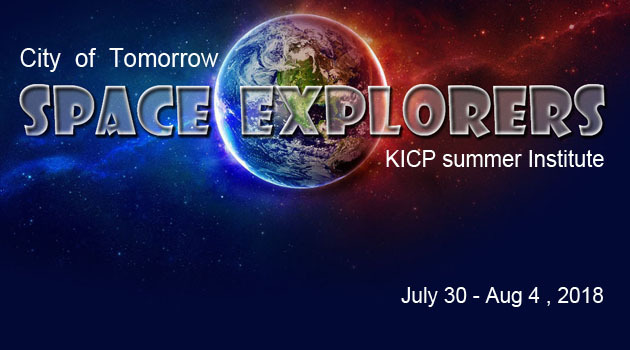 KICP will be hosting a Midwest LIGO meeting all day in ERC 401. 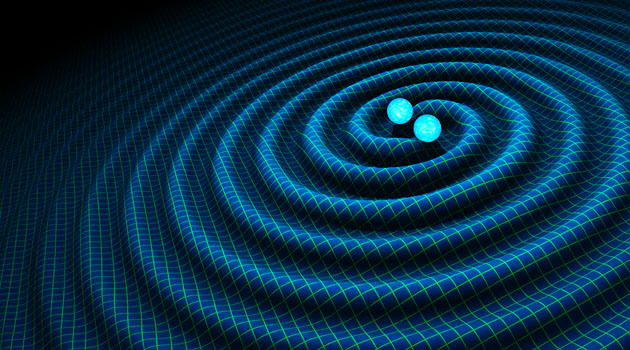 Although most of the workshop will be for LIGO members, if you have any burning questions about LIGO/GW astrophysics please feel free to swing by and join us during the breaks (12:30-1:30pm, 3:30-4pm, or after 6pm). Workshop: The Future of H0: Crisis or Concordance? Just in the last two years, we have seen the final Planck data release, measurements of the local value of the Hubble constant nearing two percent, the first standard siren measurement, and new strong lens time delay cosmological measurements. Even with a number of re-analyses and systematic checks on these various analyses, tension of the local Ho measurements and the CMB inferred Ho value remains, and excitement continues to increase amongst cosmologists regarding the source of tension. In this workshop, we are asking what's next for all these experiments and analyses. This workshop will be focused on analyses coming out in the next year or two, looking at what we can expect before the next generation of experiments come online. 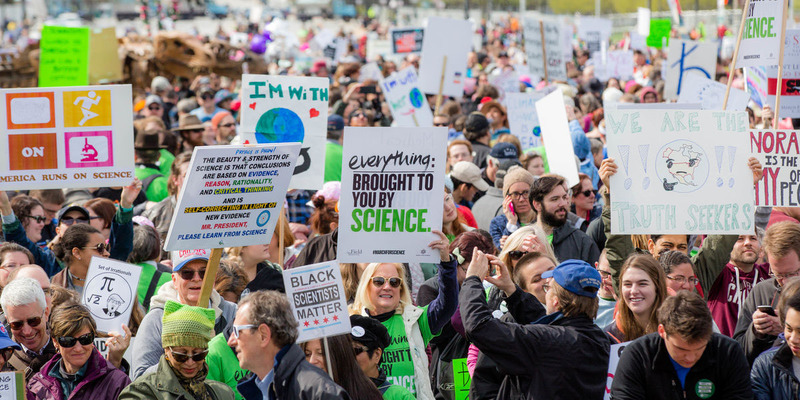 We want to hear about new ideas to push down at systematic uncertainties in current analyses, what lingering issues remain unresolved and what can be done to solve them. This workshop will be a unique chance for scientists who work on different probes to think together about what can be done to better understand what is driving the tension and how the next round of analyses can address various concerns. "Indirect detection of axion dark matter with neutron stars"
I will argue that axion dark matter may be detectable through narrow radio lines emitted from neutron stars. 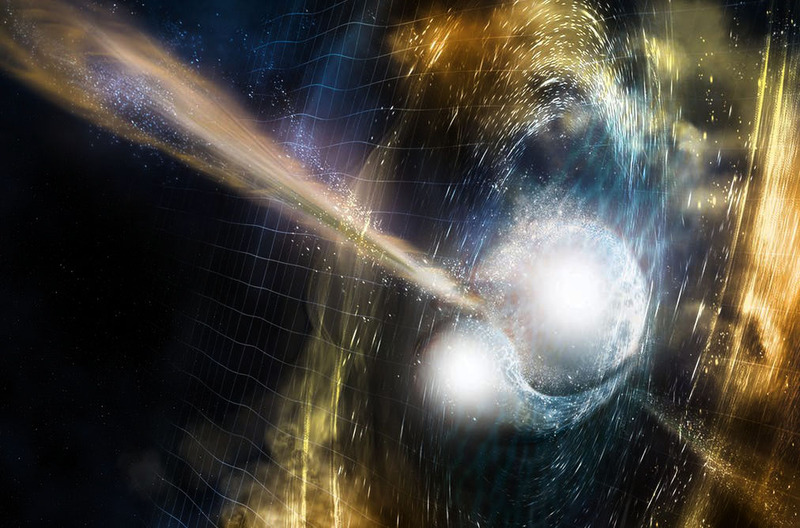 Neutron star magnetospheres host both a strong magnetic field and a plasma frequency that increases towards the neutron star surface. As the axions pass through the magnetosphere, they can resonantly convert into radio photons when the plasma frequency matches the axion mass, making the radio photon signal an analogue of indirect detection for axions. I will show sensitivity projection from a proposal recently submitted to the Green Bank radio telescope, which shows that a few hours of observation may provide sensitivity competitive with future ADMX runs in the mass range near 4 x 10-6 eV. "Achieving Ultra-Low Background Detectors to Search for Dark Matter"
The quest to directly detect dark matter interactions has ushered in the era of ultra-low background experiments, able to search for unprecedentedly low event rates. This rapid advance in sensitive detector technologies must be matched by comparable advances in background controls and modeling. I will talk about some of the background controls being implemented today by various collaborations and show some clever new calibration techniques being used to better characterize detector performance. "The BEBOP radial velocity survey for circumbinary planets"
Planets orbiting two stars - circumbinary planets - are astrophysical gems. These triple systems expand our knowledge of both planet and binary formation, exhibit rapid, observable orbital dynamics and provide a unique observational probe of the habitable zone. However, our present knowledge is largely limited to a biased sample of a dozen transiting planets. I will demonstrate efforts to expand this field using radial velocities, by presenting the BEBOP survey. With over 7 years of HARPS and CORALIE data, we can reach a precision of a couple of metres per second. Using this, I will show work to answer fundamental questions about the circumbinary abundance, multiplicity and inclination distribution, with the latter being a key probe of various three-body dynamical processes. Applications will also be made to radial velocity reconnaissance of the future TESS and PLATO missions. "Relativistic Hybrid Simulations of Cosmic Ray Generation and Transport "
The generation and transport of Cosmic Rays (CR) is an inherently multiscale phenomenon. Linking the dynamics of a cold thermal background plasma with low density, relativistic CRs through the shared magnetic field requires modeling the physics of both populations. To better study these problems, we have developed a kinetic ion, fluid electron hybrid code to include relativistic ion dynamics (dHybridR). With dHybridR, we perform the first simulations of non relativistic collisionless shock, self-consistently accelerating relativistic ions. We document the effects of the transition of accelerated particles to relativistic velocities and we show that the shock develops a CR induced precursor which modifies the macroscopic shock quantities (i.e. compression ratio and shock speed). In addition to CR generation, we present simulations of CR transport and the associated streaming instabilities. We show that for weak CR currents, simulations initially agree with linear theory and that the thermal population is indirectly heated through landau damping. "Challenges for Direct Detection of Electron-Recoiling Dark Matter"
I will give a brief overview of the measurement techniques and background challenges associated with the latest light dark matter experiments with a focus on the work being done in the Chicago area with DAMIC, SENSEI, and SuperCDMS, and discuss the path towards detecting fermionic dark matter down to the substructure limit (~4 keV). I will focus on the current limits set by semiconductor technologies, and then discuss how we improve the sensitivity of semiconductors and move below the eV-scale bandgaps. This talk will be part overview, part advertisement, and part crazy ideas. 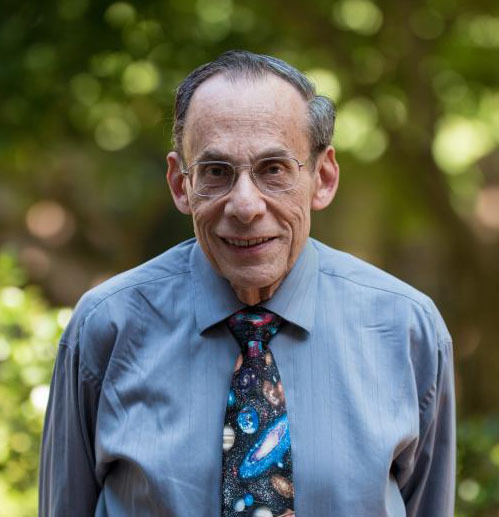 "Big challenges from little galaxies?" I will give a brief overview of the challenges that dwarf and satellite galaxies present to LCDM and/or galaxy formation. I'll discuss the role simulations play in this area and what problems have been solved (some have!) and what issues remain. If there is any time left, I will discuss a few avenues forward for resolving these issues with numerical simulations and observations. Inaugural John A. Simpson lecture: Martin H. Israel, Washington University, "What Rare Isotopes and Rare Elements Tell Us About the Origin of Cosmic Rays"
With the observation of coherent elastic neutrino-nucleus scattering (CEvNS, pronounced "sevens") now realized, there is a groundswell of efforts in and around the process. This workshop will bring together theorists, phenomenologists, and experimentalists from the CEvNS community with the goal of exploring upcoming experiments, the complementarity between them, and the broad range of physics questions that CEvNS can address. 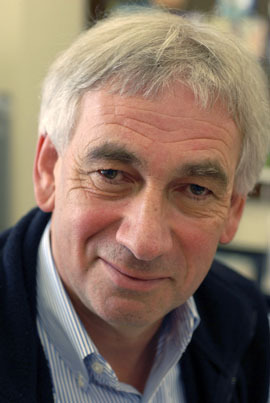 The current landscape of ongoing or potential CEvNS experiments will be surveyed, and discussion will be fostered about the physics topics that can be most powerfully or uniquely addressed by this process. By bringing together theory and experiment workers at this exciting moment, we hope to enrich the exchanges within the CEvNS community, with the goal of defining and guiding future common efforts that maximize the physics impact of this process. 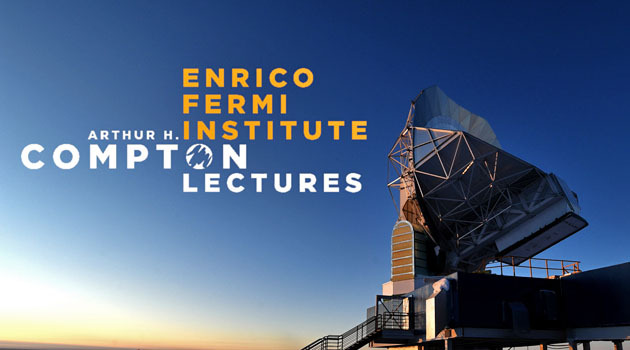 The workshop will be co-hosted by the Enrico Fermi Institute (EFI) and the Kavli Institute for Cosmological Physics (KICP), and will take place on the University of Chicago campus at the newly renovated Physics Research Center (PRC), home of the EFI. Physics colloquium: Helen Quinn, "Science, Engineering and Art as well - why is it hard to teach Science well?" The Physics department launched the annual Maria Goeppert-Mayer Lecture series last year and today will have the 2nd lecture. The speaker, Helen Quinn, is a world renowned particle theorist and educator. She will give a talk on K-12 science education at 4pm. This will be followed by a panel discussion at 4pm on "How University Communities Can Support K-12 Science Education". 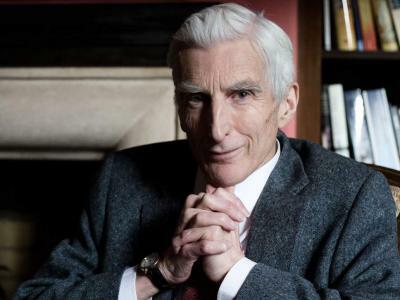 Theoretical physicist who developed the nuclear shell model while at Argonne National Laboratory and the University of Chicago from 1946 to 1959. She received the 1963 Nobel Prize in Physics for her "discoveries concerning nuclear shell structure". Helen Quinn, SLAC, is a particle theorist and science educator. 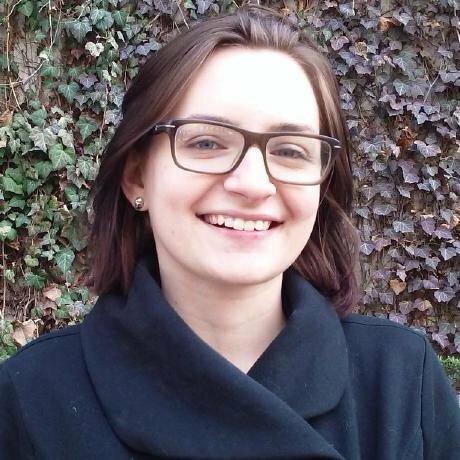 Helen's honors include the Dirac Medal, the Oskar Klein Medal, the Sakurai Prize, the Karl Taylor Compton Medal, and the Benjamin Franklin Medal. She is a fellow of the American Academy of Arts and Sciences, the National Academy of Sciences and the American Physical Society. She was President of the American Physical Society in 2004. She has been focusing on K-12 science education in the recent years and she would like to give a talk on this subject. As Chair of the Board on Science Education of the National Academy of Sciences, she led the effort that produced A Framework for K-12 Science Education: Practices, Crosscutting Concepts, and Core Ideas - the basis for the next generation science standards adopted by many states.